bought this in a car a while ago, has been in my garage for two years. still cranks over nicely but it is seperated from the gearbox at this time. Comes with some of the loom and the engine and box. Will need collecting from OX18 near witney in oxfordshire. When you say some of the loom, what else will be needed to get it to run? wow are these engines really worth that much, im sat on 3! lol might be selling one of mine if you get 350 for em!! TBH last one I saw which was complete with everything including clocks & ignition barrel went for £225 on Fleecebay. I wouldn't mind picking one of these up but would need the whole lot or a donor car so i could be sure i had the lot needed to run. 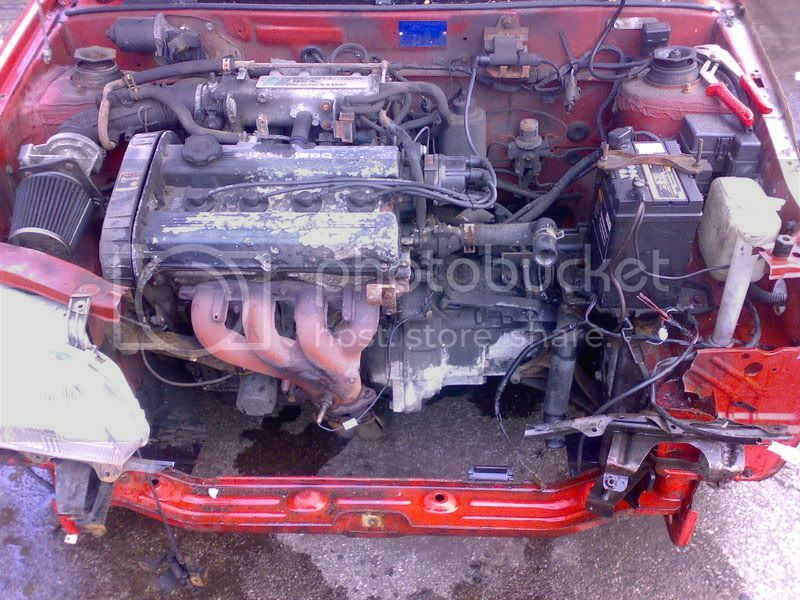 I have bought 6 complete GTI's all running & less than £500.00, I have also bought 2 engines for less than £100.00. But they are getting harder to find. Yes they are indeed so like i said, offers but i would like £350 (i would like £1000!!) so as a bench mark, thats what i started her at. Have offers of around the £200 mark so will sell at first person to come up with £200 or more. Does it come with driveshafts? Is the engine still for sale ?